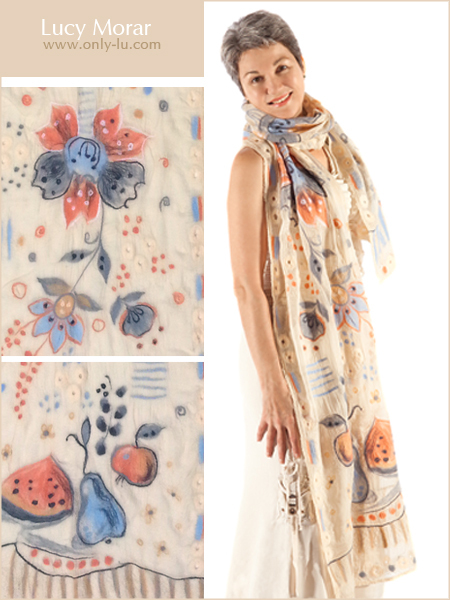 Colorful summer flowers and fruits, abstract patterns abundantly spread over creamy and soft chiffon silk. Expressive and lovely. Made in technique of nuno felting using only fine natural materials. This entry was posted in for sale, nuno felting, scarf on August 11, 2016 by Lucy Morar.